At Alpine Animal Doctors we have an extensive array of diagnostic equipment to aid in accurately defining what ails your pets. As vital as these tools are an accurate diagnosis often owes as much to art as to science. Careful observation, sensitive hands and a deep knowledge of the anatomy and physiology of multiple species, which comes only with years of hard won experience, are the hallmarks of the skilled veterinary diagnostician. In almost 20 years as a practicing vet, Dr. Bek has undertaken thousands of successful diagnoses. The skills honed in those years, augmented by our arsenal of high tech diagnostic tools means patients at Alpine Animal Doctors will always receive the most accurate and detailed diagnosis possible. Current and prospective clients are always welcome to inspect the hospital facilities at Alpine Animal Doctors. Clinic tours are strictly by appointment and can only be conducted when sterile areas (e.g., operating theatres) are not in use. These high tech diagnostic tools allow us to use fibre optics and tiny cameras to conduct internal examinations without the need for invasive surgery. The real time images may be viewed through an eye-piece or an enlarged hi-res image shown on a monitor screen. Endoscopy lets us examine internal organs such as the oesophagus, stomach and upper small intestine to provide rapid diagnosis. 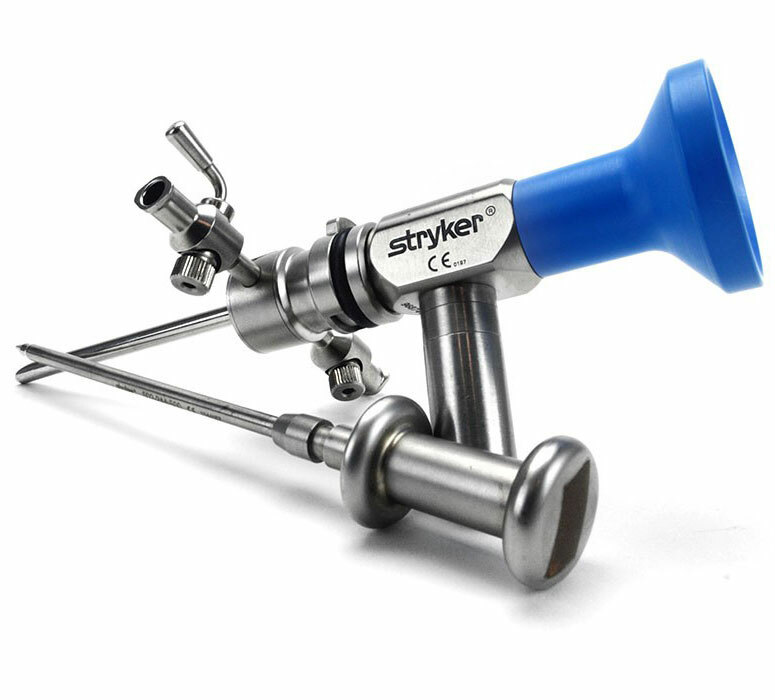 Arthroscopes are used in a similar way but primarily for the examination of damage to soft tissue structures and joint cartilage, which are not visible on x-rays. Mostly used in surgical cases, arthroscopy is invaluable in helping diagnose problems such as cruciate ligament damage, elbow dysplasia, shoulder Osteochondrosis Dissecans (OCD) and shoulder instability disorders. The hospital is equipped with an extensive array of top quality ‘scopes, including rigid and flexible tubes, grasping forceps, snares and biopsy forceps. While endoscopy and arthroscopy provide excellent aids to accurate diagnosis they can also be used to directly treat some problems (see The Surgical Suites) and to take biopsies without having to resort to more risky surgery. At Alpine Animal Doctors we utilise technologically advanced colour doppler ultrasound devices. We also have portable ultrasound available. Ultrasound is a safe, non-invasive diagnostic tool that uses high-frequency sound waves, not radiation, to get clear pictures of soft tissue that would not show up on radiographs (x-rays). Images are captured in real-time and show the structure and movement of the body’s internal organs, as well as blood flowing through blood vessels. We use ultrasound to examine organs such as the heart, liver, pancreas, kidneys, spleen, bladder, and gallbladder. For example, if a male dog presents as having difficulty urinating we can use ultrasound to check for an obstruction in the bladder or urethra. It can also be used to examine suspicious lumps we might find during a manual exam, or to look for damage to internal organs following an accident. We also use ultrasound to monitor ongoing conditions, such as the progress of liver and kidney disease. Endoscopy/arthroscopy and ultrasound tools are used in conjunction with the facilities available in our in-house pathology lab, the radiology suite, and the surgical and dentistry suites. Use the links below to visit each of our hospital departments and discover the extensive range of clinical and surgical facilities you'll find at Alpine Animal Doctors. Our state-of-the-art hospital technology allows us to offer our clients an extensive range of services for all animals. Click here to discover our full range of veterinary services.